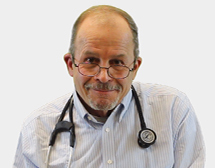 Originally from Virginia, Dr. William Garrett has lived in east Tennessee for many years. He loves his Jeep, his dogs, and especially his wife Linda who is a Nurse Practitioner at Tusculum University. Dr. Garrett went to medical school at the Medical University of South Carolina at Charleston, and completed his residency at the James H. Quillen College of Medicine in Johnson City, TN. Dr. Garrett joined Medical Care’s outstanding team of healthcare providers in early 2018 and is happy to see new patients of all ages.